Ada Brown was born in Raunds, Northamptonshire in 1866. As a young woman she joined the West London Mission. As a friend later argued, "her motive was religious, but she had soon added a social purpose to it." In 1897 she transferred to the Bermondsey Settlement where she was the leader of the Mothers' Meeting and had responsibility for the Girls' Club. Fenner Brockway has pointed out: "The girls were rag-sorters, wood-choppers, tin-smiths, rough and tough, sometimes reacting against the drabness of their existence by indulging in wild excesses, sometimes arriving drunk at the Club. Ada Brown's gracious personality had a remarkable effect upon many of these girls: they came under its influence, their characters began to change and, despite their surroundings, a gentleness and love of beauty came into their lives. While working at the settlement she met and fell in love with Alfred Salter, who was a student at Guy's Hospital. He converted her to socialism and she encouraged him to become a Christian. They both joined the Peckham branch of the Society of Friends. They both decided they should dedicate their lives to helping the poor. On 6th July 1899 Alfred wrote to Ada: "I have been paying numerous visits to derelict families all the afternoon and evening. Several of the homes I have just been into have made me feel aghast at my helplessness and powerlessness to lift their occupants out of their existing poverty and squalor. Oh, the cruelty and wickedness of our society today! - to thrust down these people by means of low wages and chronic unemployment into hopeless despair, and then to leave them in that condition with no organised or conscious effort to rehabilitate them.... You and I feel that we have the same mission in life and the same consciousness of the ends, objects and consequences of that mission. We are living and working for the same goal - to make the world, and in particular, this corner of the world, happier and holier for our joint lives." Ada Salter was active in the Liberal Party. She also joined the Rotherhithe Women's Association and became its president. On 5th June, 1902, Ada gave birth to Joyce. Four years later they rented out a house in Storks Road. According to Fenner Brockway it "was a grimy three-storied building, with a basement and yard, overhung by a large factory." A friend, Albert Dawson, wrote: "Dr. Salter is not a reposeful man; he is too high-spirited and vigorous, and lives at the top of his form, but the gentle sweetness and serenity of Mrs. Salter balance her husband's energy and strength." In June 1910, Ada's daughter, Joyce, caught scarlet fever. She became seriously ill and was admitted to the South-Western Fever Hospital. 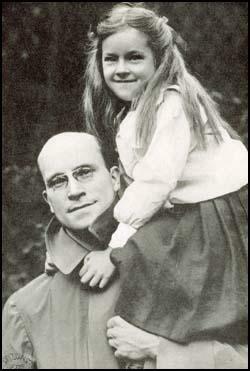 Joyce was adored in Bermondsey, everyone calling her "our little ray of sunshine". There were so many enquiries that bulletins had to be placed at regular intervals on the front door of their home. Unfortunately she died and according to their friend, Fenner Brockway: "It needed all their faith to live through this test. Ada's sadness never quite left her; it was in her eyes and in her expression all through the years. Alfred changed from the boisterously cheerful crusader to a man who seemed constantly in the presence of sorrow: months passed before he smiled and it was years before the gay, bubbling laughter returned. Joyce's portrait, on the mantelpiece in his study, was decorated by Ada with flowers or ivy every day: right to the end of their working lives this practice was observed. The sense of loss was intensified as the years passed by the disappointment that Joyce remained their only child." The Bermondsey ILP arranged for a series of Thursday evening lectures. 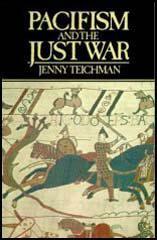 This included visits by Margaret MacMillan, Bruce Glasier, Katherine Glasier, Charlotte Despard, G. D. H. Cole, Clement Attlee, Herbert Morrison, Jessie Stephen, George Lansbury, William Anderson and H. H. Slesser. 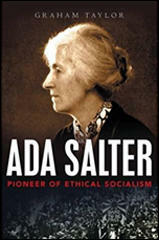 Ada Salter was active in the campaign for women's suffrage. She remained active in the ILP and in 1913 was re-elected to the Bermondsey County Council. However, Alfred Salter and the other 13 ILP candidates were defeated. Ada campaigned to convert Bermondsey into a Garden City. On her initiative a Beautification Committee was appointed. In the 1922 General Election Ada's husband, Alfred Salter, was elected to represent Bermondsey West in the House of Commons. The Labour Party also had the largest number of seats on the Bermondsey Borough. Ada now became London's first Mayor. As a socialist she declined to wear Mayoral robes or the chain of office. With a Labour majority on the council, Ada could now push on with her plans to improve the look of Bermondsey. 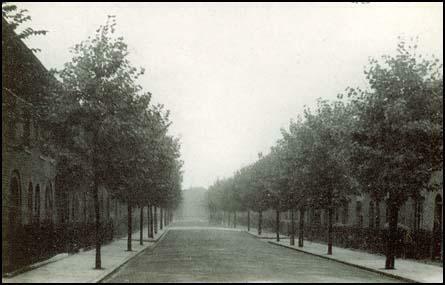 A Borough Gardens Superintendent was employed and ordered to plant elms, populars, planes and acacias in the streets of Bermondsey. Later he added birch, ash, yew and wild cherry. Tree planting in Bermondsey in the 1920s. In 1937 Ada Salter and her close friend, Eveline Lowe, were once again elected to both the London County Council and the Bermondsey Borough Council. Every seat was won by the Labour Party and after the elections the Conservative Party Association closed its offices in Bermondsey. Ada Salter died on 5th December, 1942. Alfred Salter wrote a month later: "The loneliness grows deeper and has not lessened in the slightest with the lapse of time. Sometimes it is almost unbearable, but I have to learn to bear it."